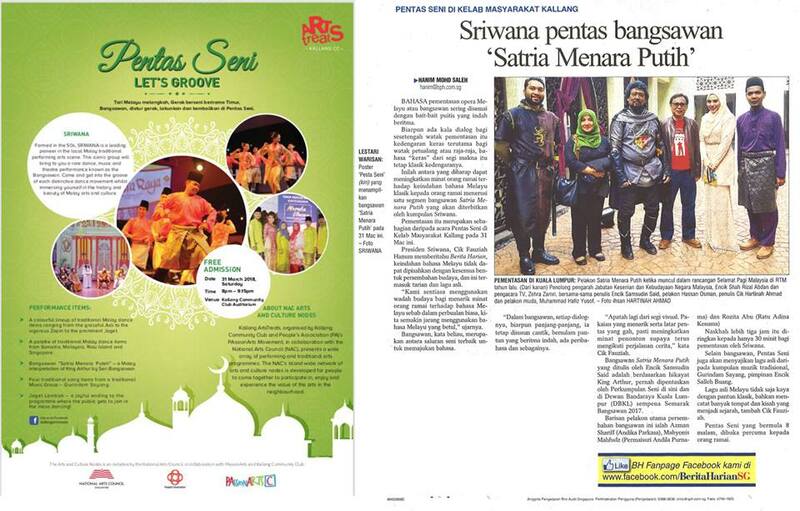 Join us at Pentas Seni and immerse yourselves in the history and beauty of Malay arts and culture. Sriwana features a Bangsawan performance entitled “Satria Menara Putih” by Seri Bangsawan based on the legendary story of King Arthur. Other performance items include a colourful line-up of traditional Malay dance items from the graceful Asli to the vigorous Zapin and Joget. You will also be able to enjoy a palette of traditional Malay dance items from the region, including Sumatra, Malaysia as well as the Riau Island, alongside beautiful music accompaniment by a traditional music ensemble – Gurindam Sayang. Pentas Seni will be held on Saturday, 31st March 2018 at 8pm at the Kallang Community Club (Auditorium). Admission is free, book your tickets with us now!